First aid can treat simple injuries or it may mean the difference between life and death in an emergency. Cuts, bites, stings, bleeding, choking, frostbite, heat stroke, hypothermia and burns may respond to first aid. 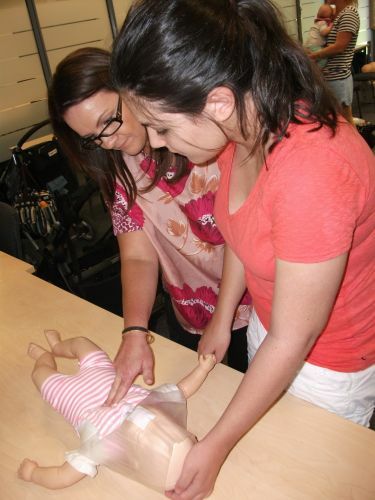 On Friday 22nd July 2016 @ 10.00am (til 12.00pm) at the Robinvale District Health Services Conference Centre RDHS hosted an “Infant and Child First Aid Course with Angela Izard, First Aid Services Mildura. This session was designed for Parents, Grandparents and Care givers. Babies are were more than welcomed to attend.